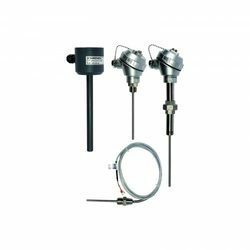 In order to meet huge market demands, we are involved in offering best quality of High Temperature Transmitter Sensors. 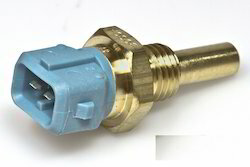 This High Temperature Transmitter Sensor is extensively used to measure temperature. Moreover, our products are of world class quality and highly tested for their quality before dispatched to the market. We offer best grade High Temperature Sensors that are manufactured in accordance with the needs and requirements of customers. These can be availed in flame proof and weather proof models in varied lengths and are also known as Thermocouples & RTD. We provide these at highly affordable prices. Special design for high temperature applications. Water cooled / air cooled disc and shaft. We are the suppliers of High Temp Capacitive Sensor, for any inquiry please contact with us. All type of sensors as per customers requirement can be supplied with complete accessories like type of Heads, Adjustable Glands, Cables, Thermowells etc.